Now that the Galaxy Note 7 is officially done for and not coming back, those of you (a cool million or so of you) who owned the phone are probably wondering which phone should be the replacement as you makes plans for a return. I have both good news and bad news on this subject. The good news is that there are quite a few really good phones out there (or that are coming in a couple of weeks). The bad news is that there are no phones like the Note 7. You will have to sacrifice a bit. I know that may sound slightly depressing, but let’s run through some decent options and why they may be your best choice today or in a couple of weeks. This is the obvious and probably best replacement if you want a strikingly similar software experience and in-hand feel to the Note 7. 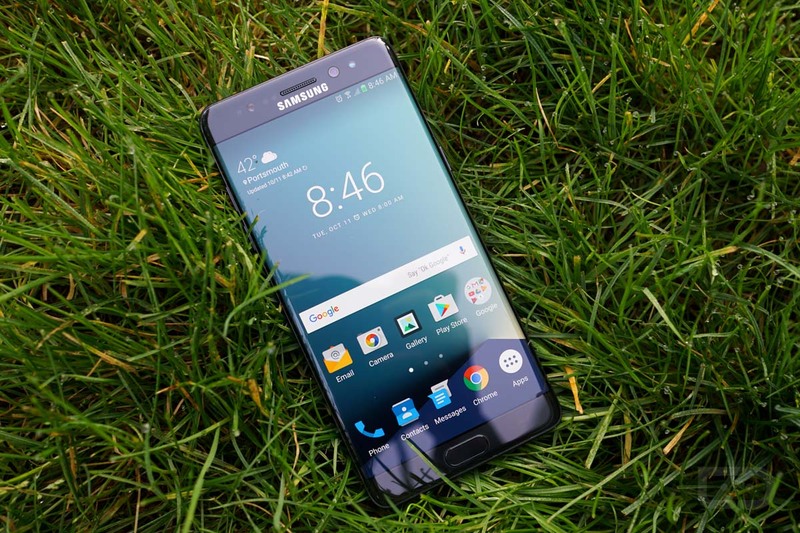 The Galaxy S7 Edge is almost the same size as the Note 7, has a dual-edge display, is water resistant, uses the same awesome 12MP camera, runs Samsung’s TouchWiz software (slightly older version, but should be updated) with a Snapdragon 820 processor, sports Edge features, has always-on display, features a microSD slot, allows for fast wired and wireless charging, and is on every single carrier. Oh, the S7 Edge also has a bigger battery (3600mAh vs. 3500mAh). It’s basically a Galaxy Note 7 without the S Pen, USB Type-C port, and gimmicky iris scanner. The S Pen functionality is a big loss, of course, but you aren’t going to find that experience on any other phone. That’s just one of those concessions you are going to have to deal with. The fact is that the S7 Edge offers an almost identical experience, it just doesn’t have that Pen functionality. 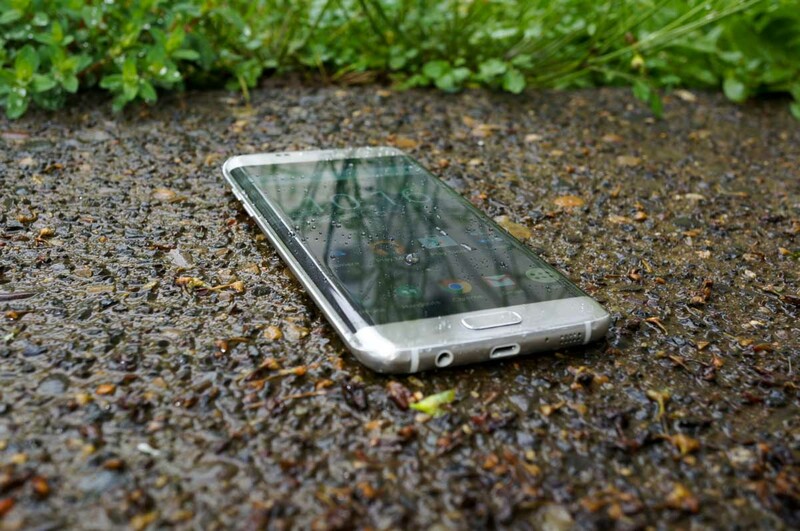 Be sure to read our full Galaxy S7 Edge review for the dirty details. 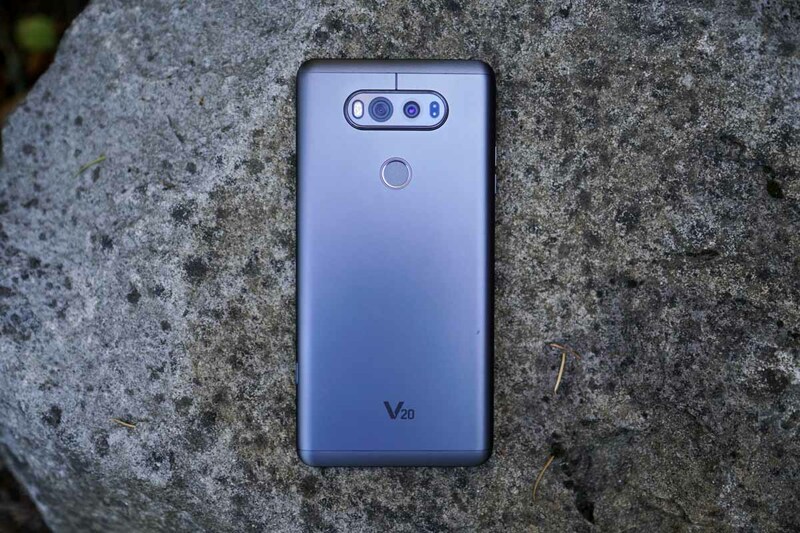 We poke a bit of fun here and there at the LG V-series because it is filled with nothing but “stuff and things,” as we like to say, but that’s sort of what made the Note 7 so appealing early on – the stuff and things it offered that no other phone did. LG’s V20 will be out on October 28, so you do have some time before it’s available. However, it may just be worth the wait if you can find a phone to hold you over. The LG V20 is filled with top tier specs, first and foremost. It has a 5.7-inch QHD display (like the Note 7), 4GB RAM, 64GB storage with microSD support, 3200mAh removable battery with quick charging, Snapdragon 820 processor, fingerprint reader, and already runs Android 7.0 Nougat, which the Note 7 does not. Outside of the basics, the V20 sports dual cameras on the back, one for shooting wide angle shots (8MP) and another for standard shots (16MP). The cameras here are quite good and the versatility is something most phones can’t offer. The V20 is an audiophile’s dream as well, with its Quad DAC, HD audio recorder, and HiFi video recording. Finally, the V20 uses a secondary display towards the top of the phone to show you notifications, act as an always-on display of sorts, and can even provide app and activity or settings shortcuts. Now, the V20 isn’t perfect. There is no S Pen, no water resistance, the display is LCD, the battery is slightly smaller (but is removable! ), and there is no wireless charging. Still, I think the V20 would be a solid replacement if you need a similar sized phone that packs in the extra features most phones don’t even consider. This is a bit of a wildcard option because, in a way, this is Google’s first serious phone, but the Pixel XL could be a good choice once it arrives on October 20. I say that because you get a phone that is a similar size to the Galaxy Note 7, with a premium metal body. You also get the newly released Snapdragon 821 (that no other phone has), 4GB RAM, 3450mAh battery with fast charging, 5.5-inch QHD AMOLED display, fingerprint reader, USB Type-C, 32GB or 128GB storage options, and what should be a really good camera. The Pixel XL isn’t at all like the Note 7, though, if that makes sense. This is Google’s phone with its approach to Android that nerdy enthusiasts like to call “Pure.” That means you get clean, ultra-fast Android without the extra fluff you find on LG and Samsung’s phones. 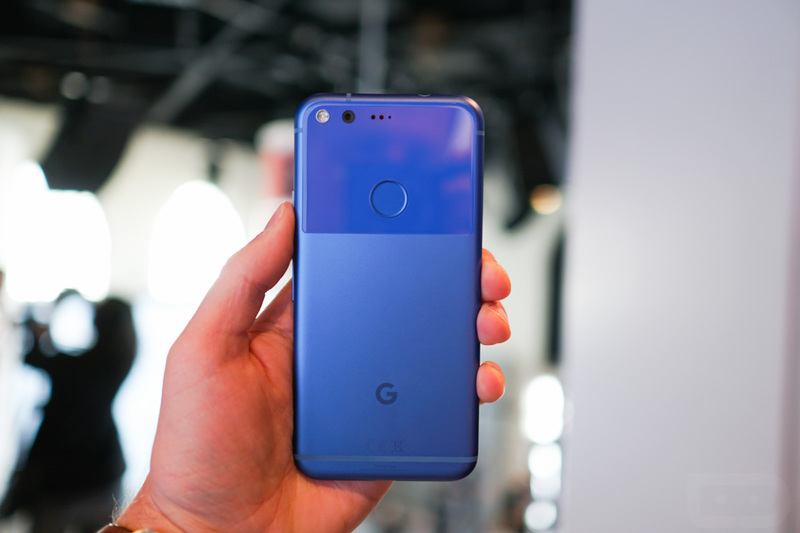 It also means you’ll get exclusive-to-Pixel features that Google is pushing, like Assistant, and hopefully, updates before anyone else to the latest versions of Android (including security patches). Just keep in mind that Google’s Pixel and Pixel XL are somewhat mysterious. Google is promoting the hell out of these as if it really wants to take phone sales seriously for once, but we just don’t know everything, like how quickly updates will be here, how long exclusive features will be exclusive, etc. The Pixel XL also isn’t even close to the Note 7’s water resistance (it’s only IP53), doesn’t have an SD card slot, doesn’t wirelessly charge, and does not have an S Pen. Those are big missing features, but I think this is a really good option because this is the chance for a Samsung fan to see what Google can do and what it wants you to get out of Android when it really wants to move some phones. 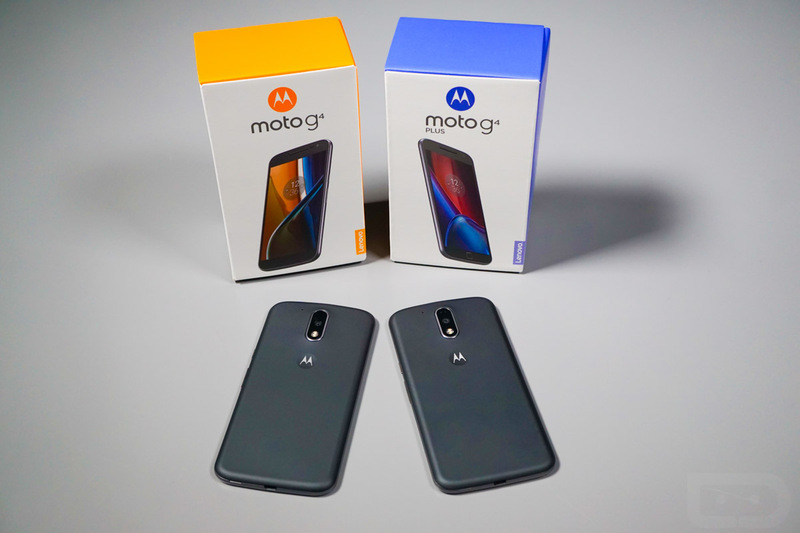 If none of those other phones sound interesting enough and you would rather get something on the cheap to hold you over until 2017’s flagships start showing up, consider an unlocked phone like the Moto G4 Plus. This phone isn’t a flagship, but it is cheap and still packs in a decent set of specs. You get a 5.5-inch FHD display, Snapdragon 617 processor, 2GB or 4GB RAM, 16GB or 64GB storage (with SD slot), 3000mAh battery with fast charging, 16MP camera, fingerprint reader, Motorola’s suite of software on top of Android, and connectivity on all major US networks. This is a fully unlocked phone that works everywhere. Now, I know, this phone in no way compares to what the Galaxy Note 7 offers, but if you need a phone to get you buy while you save up for the next big thing, this is a solid choice. Tell us, Galaxy Note 7 owners, which phone are you going with?